Rhiannon joined SME Solicitors in January 2016 as a Partner in the Residential Conveyancing Department. 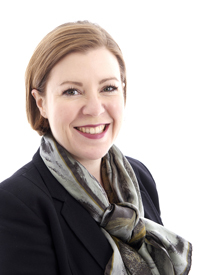 Rhiannon dually specialises in property and planning law. She has extensive residential conveyancing experience, including acting for high profile and high net worth individuals in relation to complex residential property transactions in the London market. Rhiannon previously spent 6 years as the Chief Legal Officer of a Local Planning Authority and has particular expertise in development, enforcement and listed building matters. She has acted for major institutions and investors. Rhiannon has a reputation for providing clear and practical advice. "We just wanted to say a HUGE thank you. I think we were all looking forward to the day when this sale would be over and nonetheless you have been incredibly dedicated in combating all the issues we have had to face to purchase our home and we cannot thank you enough for the service you have provided. You really are highly skilled in your sector and we hope you are rewarded and continue to be successful because you deserve it. We are so overwhelmingly excited and are in love with our new home." "As ever I have been very pleased with the attention and service received, and we are returning to you again." "Thank you, Rhiannon, for smoothing the process, both in the earlier sale that fell through, and on this successful one. It’s all a great credit to yourself and your team at SME." "From first contact to completion Rhiannon & her team have been a joy to work with. It certainly takes an awful lot of stress out of house moving knowing that you have someone as diligent & professional taking care of everything in your interest. She was always available if needed & we wouldn’t hesitate to recommend her to anyone." "I would just like to say how impressed I was with the service at SME solicitors who looked after the sale of my house. I have moved several times in the past but this was an extremely difficult time for me following bereavement and so I needed an efficient, trustworthy and diligent solicitor to deal with the conveyancing. I can honestly say that Rhiannon Edwards delivered these qualities in abundance and I felt completely secure leaving the legal arrangements with her. It had the potential to be a difficult sale process, but Rhiannon and her team ensured that all went smoothly, speedily and without complications. I would thoroughly recommend SME and would not hesitate to use them again. They provided me with a very different experience of conveyancing, one that had high professional standards and one which was also resourceful and approachable." "SME Solicitors and more specifically Rhiannon Edwards, one of the Partners, went above and beyond to support us with our house move last year on 21st December. She communicated extremely well, keeping us informed where necessary and even chased others in the chain to ensure that we were able to move into our new home for Christmas and that everything stayed on schedule. We are incredibly grateful and would recommend SME to anyone for their conveyancing needs."